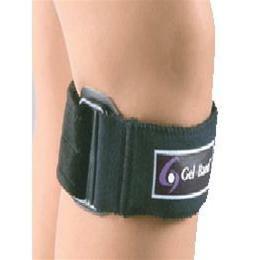 Gelband Patella Strap :: Orthopedics :: FLA Orthopedics Inc. This product helps people that have not just one but three types of problems such as chrondromalacia patella syndrome, patellar tendinitis, and Osgood-Schlatter disease. Will fit any knee Available colors: Black , Beige.